We offer our exclusive range of Non Remy Double Drawn Black Hair to many hair-styling, wig-making & hat-designing industries. This Non Remy Double Drawn Black Hair is quite smooth in texture and has an innate healthy bounce. 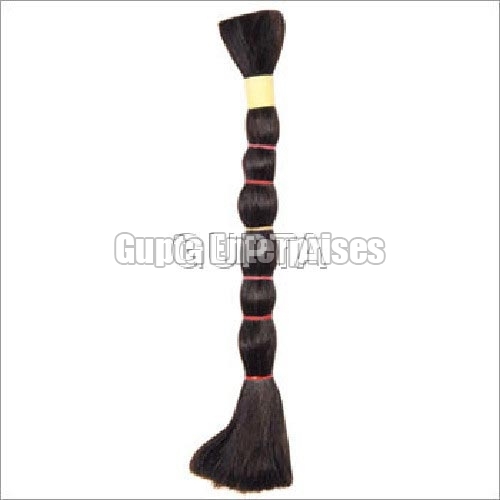 Ranging from a simple braid to a Greek hairdo, any hair style can be made with this Non Remy Double Drawn Black Hair.